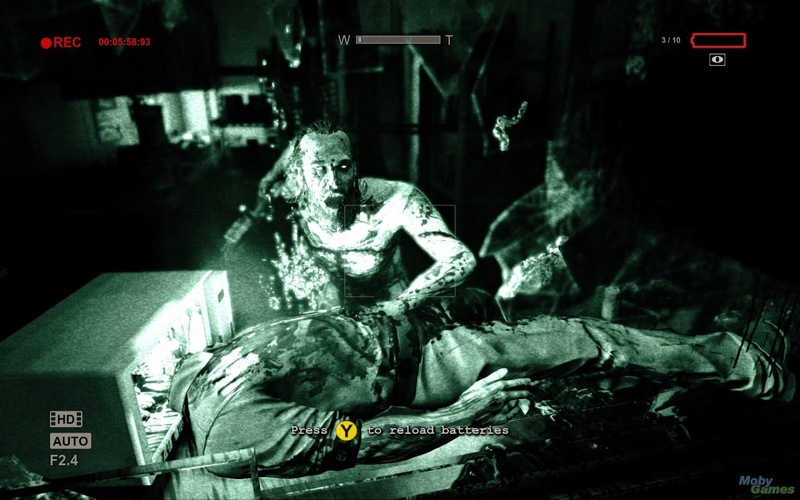 Outlast was a solid survival horror that saw you as an investigative reporter exploring an asylum after getting a tip off that horrific experiments were taking place there. For the Whistleblower DLC for that game you play as the man who leaked the information to the reporter. 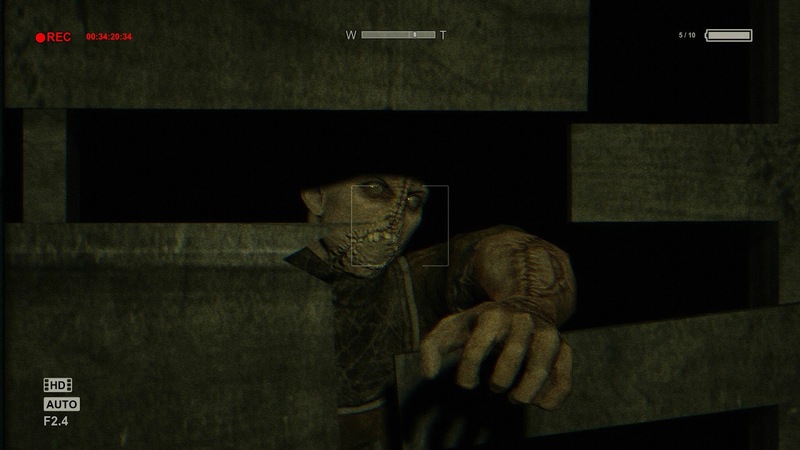 Needless to say there will be giant spoilers if you have not actually played Outlast. Waylon Park is an I.T contractor working at the Mount Massive Asylum for the shady Murkoff Corporation. The game starts with you sending leaked info out via email. Pretty soon afterwards you are caught by the corrupt DLC antagonist; Jeremy Blaire the head of the facility. He imprisons you for an unknown amount of time, performing experiments in the process. After an event happens which results in the inmates escaping you too get to make a bid for freedom. With not only the patients to watch out for but the staff as well you must try and make your bid for freedom. Whistleblower is shorter and snappier than the main game and clocked in at around two hours. This was two joyous hours though as the action never lets up. 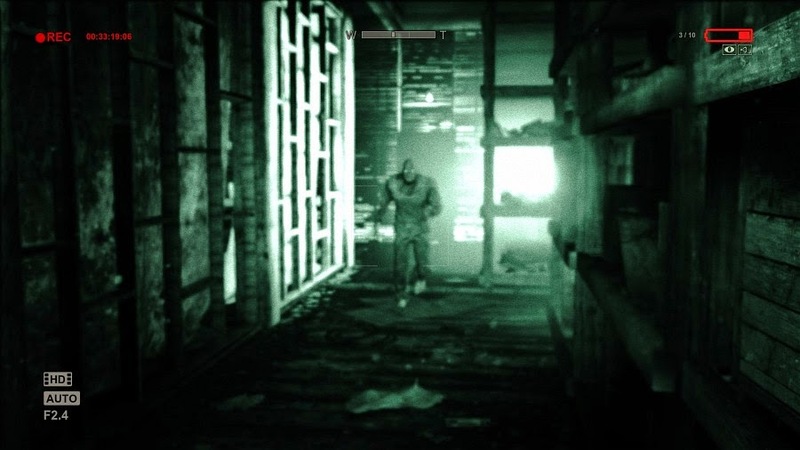 Much like Outlast your character has no access to weapons and carries around a camcorder that can be used in night vision mode to allow you to see in the dark. Batteries are hidden around the locations as well as files that shed more light on the patients and goings on of the facility. Plot wise the game obviously starts before the events of Outlast but by some plot contrivances it also takes place both during and after the events of it which sets up some great story beats. You explore areas that the reporter also visited but being at a different time there are slight differences. You needn't fear it would just be a rehash though as I would estimate around 80-90% of the DLC takes place in new areas. There is plenty of outside exploring while a chunk takes place in workshops and surgical rooms. The main game had its share of boss type characters who would stalk your character and who could only be hidden from. I feel these sections (that return here) are the weakest part of the game, though also the scariest. On more than a few occasions you would need to head into a minor maze like area to find a key or flip a switch while a boss stalked you. Pretty early on a creepy cannibal armed with a buzz saw pursues you, later on you get a serial killer who wishes to make you into a 'lady' by most cruel and unusual means. There is also some cross over with a couple of the boss characters from the main game popping up. While the weakest part of the game they did have the power to make me shout out in fright! Mostly the game gets you by jump scares, I lost count of how many times something would leap out the darkness or something sudden would happen to make me shout out. Like a ghost train attraction these work wonders but only the first few times I would imagine. As your character is dressed like an patient there seems to be far more instances where other patients ignore you or let you pass while they are in the midst of doing barbaric things (such as opening a bathroom stall to see someone drowning a guard in the toilet) and the games start in which all is calm was a nice touch. The staff seem to be afraid of you and often your way forward will be blocked by guards hastily locking you out of areas. 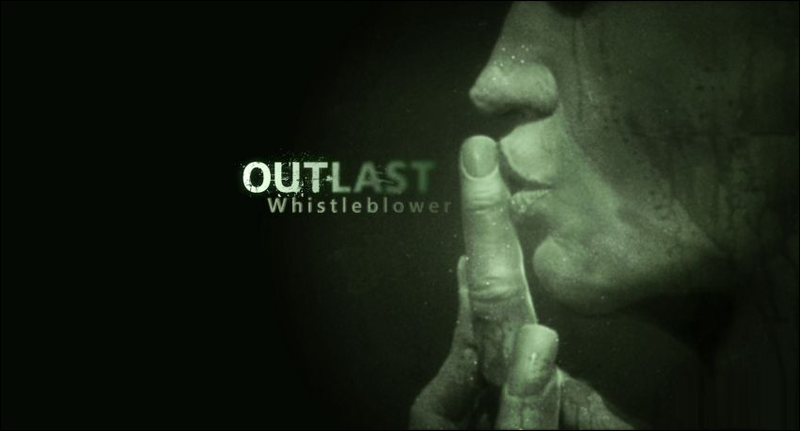 I can't see much replay value here but while it lasts Whistleblower is a blast and dare I say it actually better than the actual main game as there is no down time and doesn't repeat itself as much, while the boss characters are far more interesting. There is much more messed up imagery (rooms full of suspended bodies, people getting eaten and a patient...touching himself while looking at some corpses. If you own the game then pick up the DLC basically.